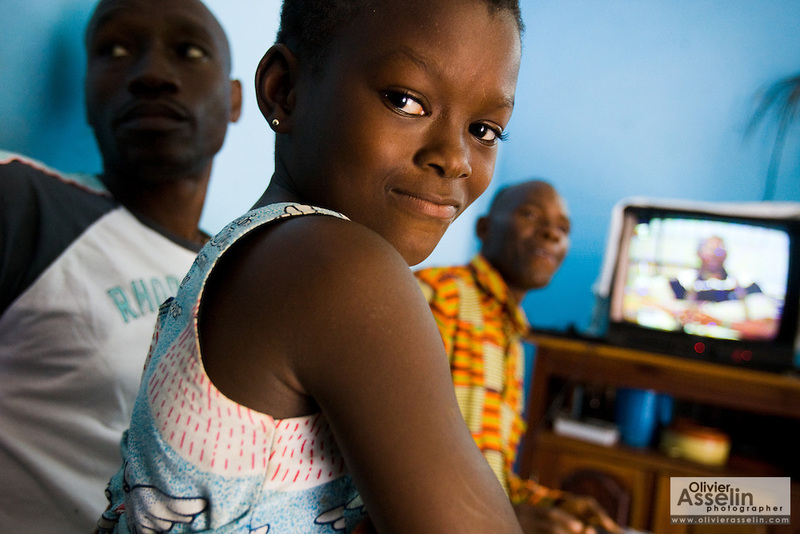 Solange Djaha Ahou, 8, sits on the lap of HIV/AIDS counselor Kevin Kouassi Gallet during a home visit in Dimbokro, Cote d'Ivoire on Friday June 19, 2009. At right is Solange's father Barthelemy Djaha N'Gueran. Both are HIV-positive.